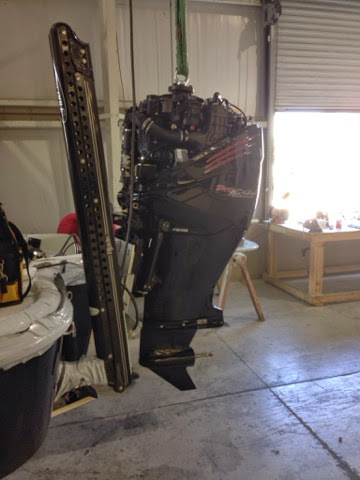 The build is moving fast now.The console rigging is nearly complete, and it should go on the boat shortly. 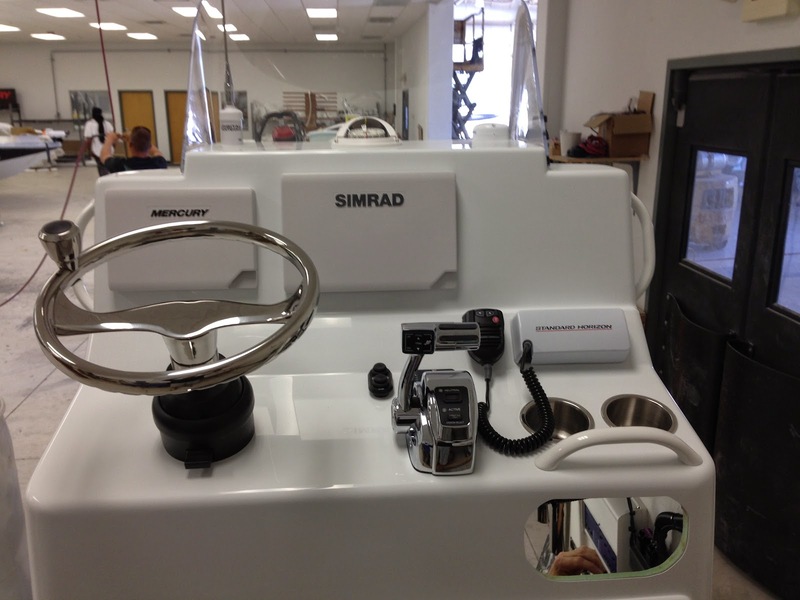 At the top of this image you can see the Simrad NSS8 and Mercury VesselView7. 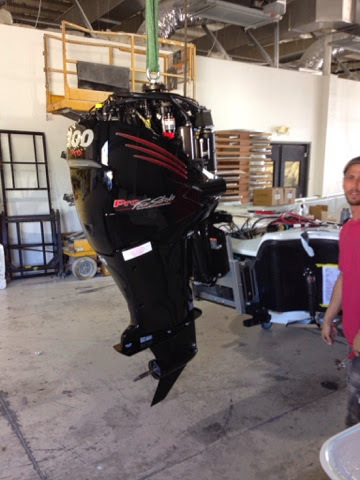 Lower on the left is the battery charging system. 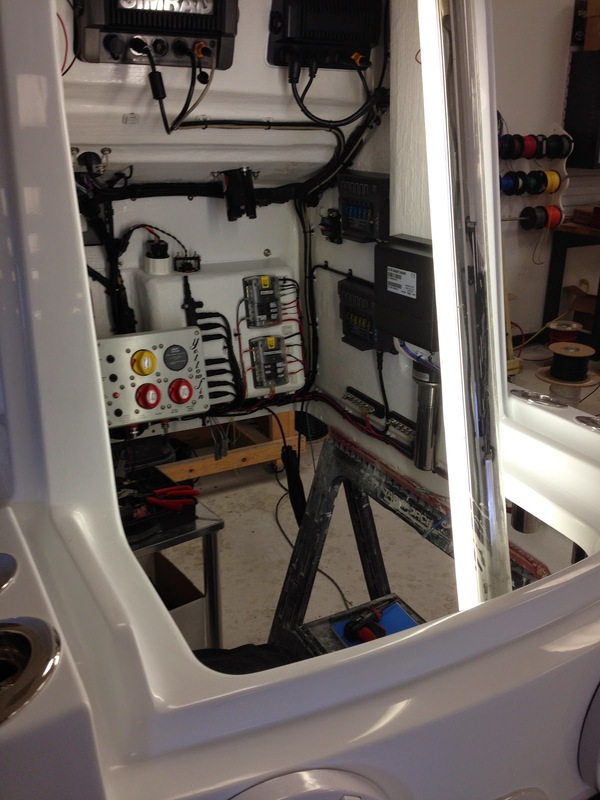 The right side is mostly components of the CZone electrical system. Yellowfin does a beautiful job bringing order to what could be total spaghetti. Here's the opposite side of the console. Left side is the NEP-2. 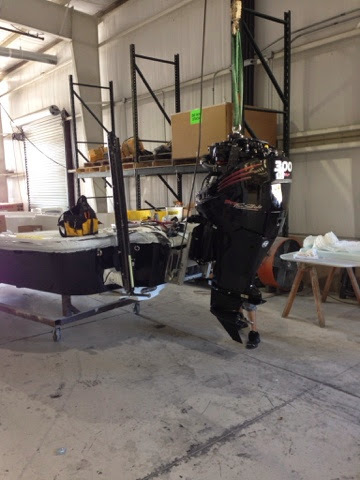 All the electronics are networked now to share information between them. This is part of the backbone. The white and blue box is the JL Audio amp for the stereo. The head unit is the multi-function display. Above that, the black box is the 'brain' behind the audio, the SonicHub. Highest in the and installed at an angle is the back of the Standard Horizon radio. Why compasses seem to have gone out of fashion in some boating circles is a complete mystery to me. 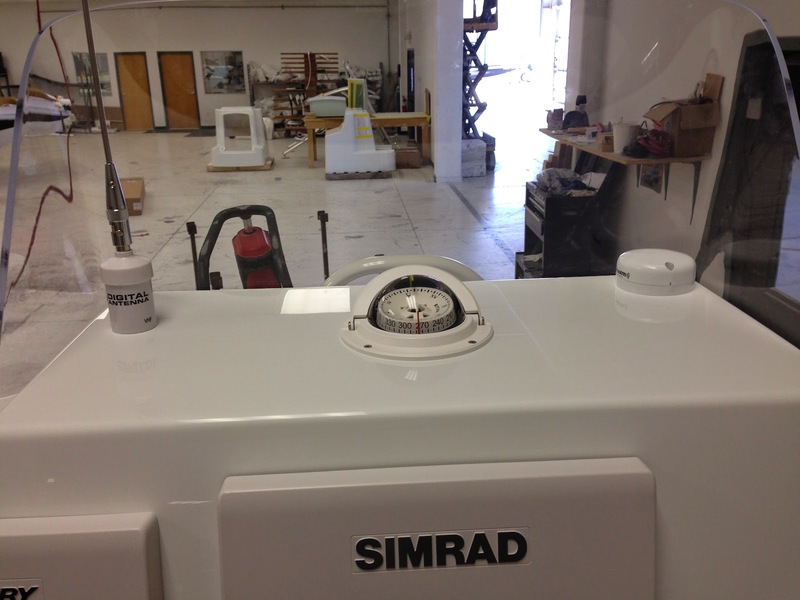 Every boat should have a compass. Left is the VHF antenna. 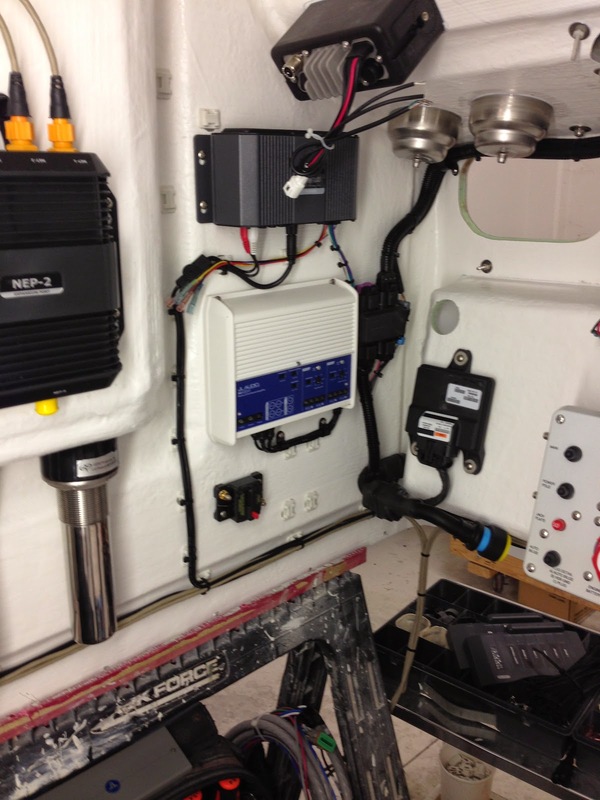 Yellowfin typically installs a short steel antenna inside the console. It's an elegant solution to having a big whip in the air, but the range is terrible. We opted for a removable model, the Digital 222 VW. On the right is the Sirius/XM weather antenna. She has a wheel! It's amazing how a single addition can have so much significance. All the major pieces of the dash are in. A few controls remain. Next up the console gets installed on the hull and the systems connected. Work on the hull continues as well. 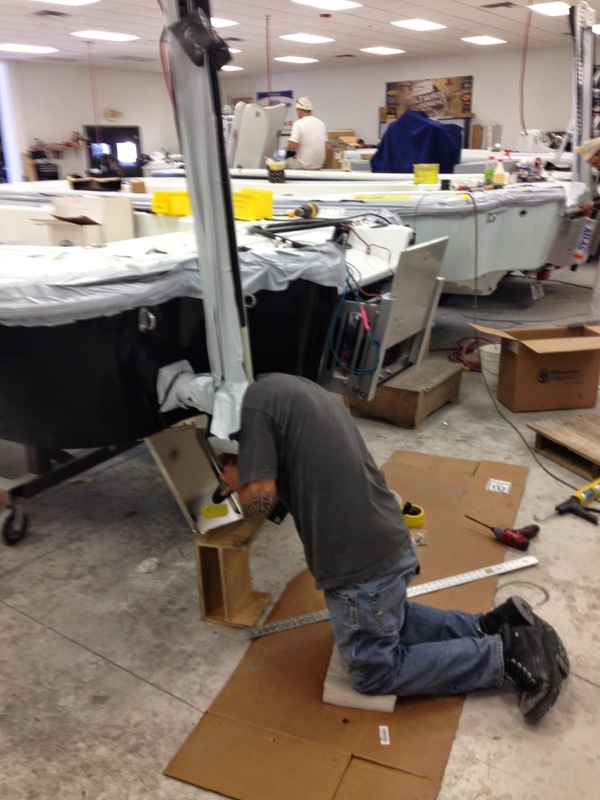 In this photo the trim tabs get installed.